As a first-time commercial real estate investor, there will inevitably come a time where you will feel in over your head. 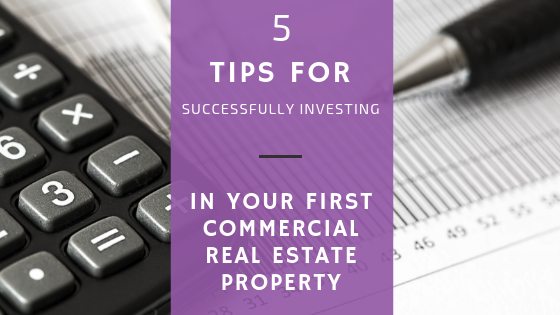 When this happens, the best thing you can do is put the necessary time and research into understanding the complex parts of commercial property investing. But even due diligence occasionally fails. In these situations, don’t be afraid to contact retail advisers at The Chambers Group who have years of experience investing in commercial property. We will happily guide you throughout the commercial real estate transaction. First-time investors are more prone to investing in properties they can’t afford. The assumption is you can simply borrow the money needed to cover the costs from the bank, but overextending yourself is never a good idea. Lenders are unlikely to grant you the entirety of the funds you need and even if they trusted you with the financing, the chances of breaking even on your investment are slim. Ultimately, it’s better to choose a property that is financially feasible and can bring in a profit. With any real estate transaction, the number one rule is to always do your homework. You’ll want to become familiar with the demographics and trends in the area on which you’re concentrating on, as well as essential factors of commercial real estate, such as rental agreements, vacancies, and other legalities. This is best left up to experts – retail brokers and tenant reps are knowledgeable about the market and understand real estate trends and how they can best benefit your investment. Only focus on one type of commercial real estate at a time when you are new to the industry. What industries are you most passionate about? These uses will help determine the type of real estate you should invest in. This may be the last thing on your mind, but it’s always important to be prepared and have a backup plan. Your goal is profit on your investment. In certain situations, getting out is the best way to achieve the profit you originally set out for. Assess how you can attain the most money from the property, regardless of whether things go the way you originally intended or not. Experts say you should have anywhere from three to six exit strategies in place when investing. The more prepared you are to fail, the more likely it is you’ll be able to obtain a better profit from the situation. To learn more about investing in Commercial Real Estate property in the Carolinas, contact the experts at The Chambers Group. Since its founding in 1999, The Chambers Group has established itself as one of the leading Tenant and Landlord representative brokerage firms in the Southeast. Contact us at 704-752-8350 for our Charlotte office or 919-900-2201 for our Raleigh office. Email inquiries can be sent to info@chambers-group.com.